New championship leader Joey Mawson won the final race of MRF Challenge weekend in Dubai, after title rivals Mick Schumacher and Harrison Newey retired. 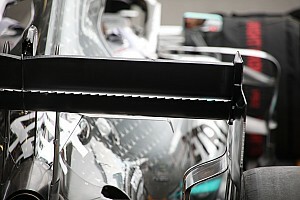 Harrison Newey took his second MRF Challenge win of the Dubai weekend in the third race, surviving a safety car restart due to a collision on the opening lap. Felipe Drugovich withstood the pressure from Joey Mawson to clinch his first MRF Challenge win in Race 2 at Dubai Autodrome. Harrison Newey took his second win of the season in Race 1 of the second round of MRF Challenge at Dubai Autodrome, after overtaking polesitter Joey Mawson. Joey Mawson edged out Harrison Newey to take pole for Race 1 of the second round of the MRF Challenge at Dubai Autodrome. Ananth Shanmugam says he is satisfied with his third season in the rebranded Euro JK series, having improved his race craft and matured further as a racing driver. Mick Schumacher doubled up at Bahrain with victory in the final race of the opening round of the Indian international championship MRF Challenge. 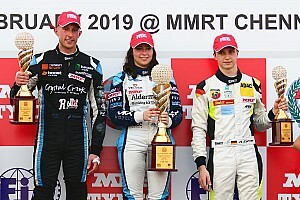 European F3 regular Ralf Aron was victorious in the third MRF Challenge race at Bahrain, scoring his first win in the series from third on the grid. Mick Schumacher took victory in the second race of the MRF Challenge weekend at Bahrain, registering his maiden win in the championship. 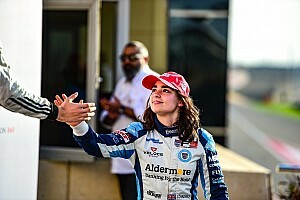 Harrison Newey controlled the first race of the new MRF Challenge season to register his maiden win in the Indian international championship at Bahrain. 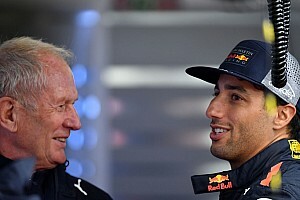 Harrison Newey kicked off the 2016/17 season of the Indian international series MRF Challenge by clinching pole in the opening round at Bahrain International Circuit.